At Jolly Lawncare we strive to be your full service outdoor company. We offer complete landscape services from annual mulching to construction of natural stone retaining walls and patios. 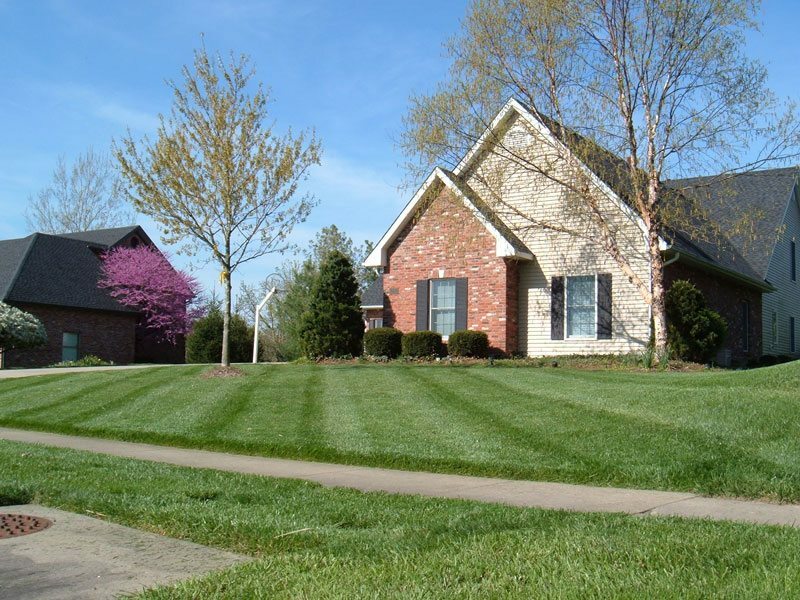 We also offer complete lawn services including maintenance as well as renovation. Snow removal is also offered to all of our customers at a competitive rate. Let us meet with you today for a free consultation! We use commercial mowers with deck sizes from 36″-60″. We maintain very Sharp blades to ensure optimum health of the turf. All driveways and sidewalks are edged with a blade edger. We use line trimmers to trim around all obstacles in the lawn. Finally, we use backpack blowers to clean off all hard surfaces. From small residential to large estates and commercial property we can make it look great! A little maintenance will go a long way to protect the investment you have made in your landscaping. 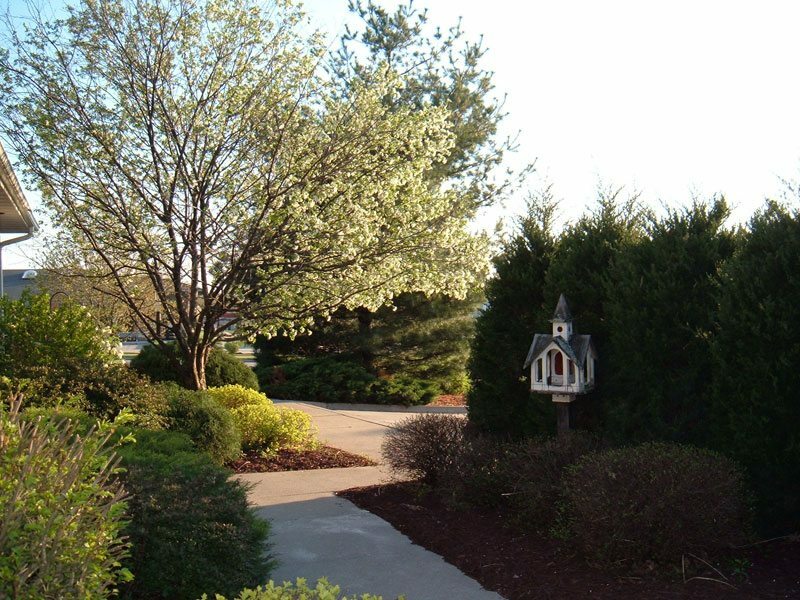 We offer mulching with quality hardwood mulch in a variety of texture and color. Mulching will help cool the roots in the summer months and keep them protected during the winter, as well as retain moisture during dry periods. A fresh layer of mulch always makes the landscape look more appealing. We can prune your trees and shrubs as well. Proper pruning will encourage better flowering and overall health of your plants. We also offer tree removal. From a newly constructed home to filling in a bare area in the landscape, we can work one on one with you to come up with a plan that will meet your needs and have the neccesary elements of a balanced and pleasing landscape. We can use a variety of hardscape materials from the popular segmental concrete products to natural stone.